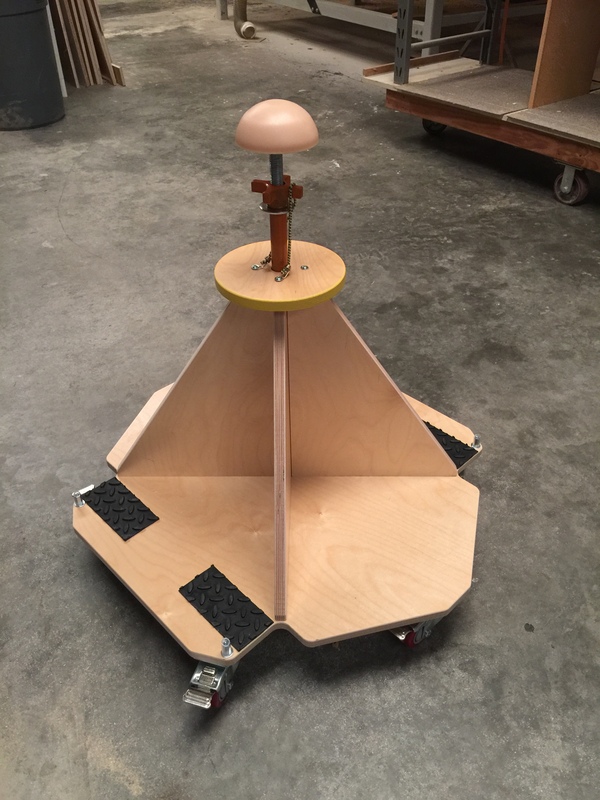 A new type of dolly is being developed to help woodworkers handle panels. The Crazy Horse is a low-tech anti-gravity device invented for woodworkers. 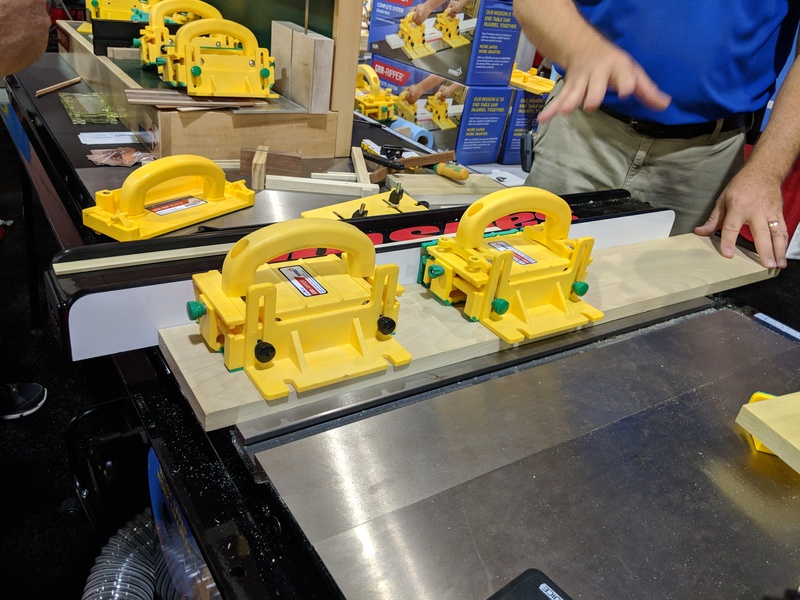 Using a combination of the old technologies in a new way, heavy, awkward sheet goods such as plywood, particleboard, and other engineered panels are easily handled by one person, eliminating the need for human assistance in many situations in the working environment of shops of all sizes and types. Larry Lee has been a cabinetmaker in the southern Mississippi and Louisiana area for more than 40 years. He invented this dolly, which became an integral part of his daily operations in his shop. Considering retiring, he was encouraged by friends, customers and former employees to develop what came to be known as The Crazy Horse. For the last few months he has been working through that process and he is getting close to market. Lee has a patent pending and has presented his idea to the public. He is asking shops of all sizes in his area to beta test the dolly for him for two to three weeks, and then give feedback. The Crazy Horse is now being beta tested by cabinet and countertop producers locally. The final edition should be ready for shipment in January 2018. Lee is still working on pricing. The YouTube video shows how the wheeled dolly would transfer material without lifting it. It can transfer panels from the floor, or transfer from vertical storage, and can be used as an outrigger or a stationary stand. It has six casters that are rated about 200 pounds and have swivel locks for stability. Contact Larry Lee directly at leelarry@bellsouth.net.